Oh I have a room filled full of Stella’s artwork–piles and piles. I know I should probably only keep the cream of the crop and throw away the others. Or I need to get it organized…one day. But once this basement is finished (almost! 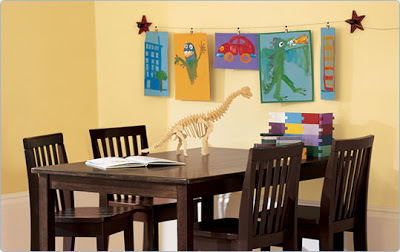 ), I want to do a cable system on one of the walls for her and Lucas to display their artwork. It looks very easy to make–just need a few supplies. The post Children’s Artwork appeared first on Darling Darleen | A Lifestyle Design Blog .